If you want a clean, modern style, then this canvas floater picture frame with a maple finish design is the perfect choice. Its extra deep rabbet allows up to a 1 5/8” canvas to "float" – suspending and separating it from the picture frame for a true gallery look. Measuring Tip: measure canvas at the corners for accurate sizing to account for any warping. Made from natural wood. The craftmanship of the frame and the included hardware are great, however the finish appears to be printed. I was expecting an actual wood finish. I have purchased gold, silver and black with gold frames in the same style and I was very pleased with all of them. The feel and quality of frame is very good. Price is very reasonable. I was sorry to discover the maple grain in stamped. Not sure my gallery will like it. The quality of the product is great, and the quality of the packaging is second to none. I have recommended your site to members of my art association and get nothing but compliments for my suggestion. 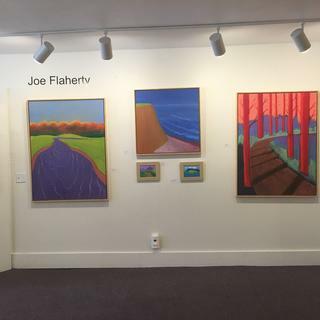 My show at the New Hampshire Art Assoc. all framed with Pictureframes products. The website didn't work very well for me because I ended up ordering a frame that was too deep. My fault, but it wasn't a good result. Hello Michelle. Thank you for your feedback regarding your ordering experience on our website. Our goal is to make the website as user friendly as possible. We refer to the depth of the frame as the rabbet. We have the depth/rabbet listed as a way to gauge what depth you need for your artwork. We sincerely apologize if this was not made clear to you. I can completely understand your concern. Please assess how much space is remaining after inserting your artwork, so that we can help you with adding a 'space filler'. Typically, customers use cardboard or extra foam core to fill in the extra deep frames. In your case the frames are designed for canvas. Unfortunately, we can not alter the depth or design of the frames. We can however customize the width and height. If you would like to return the order, you can certainly do so. We will be happy to email you a prepaid return label. We look forward to making this right with you. I will reach out to you by phone today. Have a great day. Great light frame for a desert painting. It complements the light Joshua Tree Landscape. Hello Ryan. Thank you so much for placing an order with us. We apologize that one of your frames arrived damaged. This is not the ordering experience we wanted for you. We are happy to rush you a new frame if you could please provide us with photos of the damaged frame. The photos will help us improve our Quality Control with our Carrier. We package our frames very well in hopes to reduce damage. When you have an opportunity to email the photos, please email them to customercare@pictureframes.com. We look forward to finding a viable solution for you today. Again, thank you for visiting www.pictureframes.com! I love this frame. It is made well, the quality of the wood is superb, and it enhances my art beautifully. The frame is beautiful and I am very pleased with it. Really looks good with the painting I was given. Good value. I was impressed with the protective packaging. I strongly recommend this company if you are looking for frames. These frames are of solid construction and were carefully packed to avoid damage. The miters are super tight and while the grain is laminate it is a high quality laminate and the wood beneath it is solid. I am very satisfied with my purchase and pictureframes.com is now my go to place to get my art framed. The pieces I framed look fabulous! Poor quality...And a rip off when it comes to shipping costs! I will start by saying I have never been upset enough before to write a public review...but this experience deserves one. I received the frames in a timely manner but when I opened up the box, I found two frames that were definitely not real maple wood. And if they were, they certainly didn’t look it. They looked like cheap maple stickers glued to a frame. The reason why I’m writing this review though is because I ended up returning the 2 frames. They charged me $8 to return the two frames but $69 to send the two frames to me initially. So I’m out $77 with nothing to show for it. THAT pisses me off. How is it possible that I can ship back two frames for $8 but it miraculously costs $69 to ship it to me? Doesn’t add up and I will not be spending any more money with this company which is a shame as I had intended on ordering in mass quantity for one of my businesses. Hi Lauren. Thank you for your review. Our customer care team will be reaching out to you to further discuss your shipping costs. We apologize that you've had this experience and do hope to better serve you in the future. We do offer specialty pricing for mass quantity orders that our team will be glad to go over with you. Thank you again and have a great day! I have purchased this frame many times and have been happy with it.i sure don't like the shipping charges, though. Just as pictured. Wrapped super well and delivered on time. Frames my painting perfectly. Beautiful neutral wood. Great frame! Easy to install. I’m sure I will love it for years to come. Measuring and installing was straightforward and easy. I have recommended this website to my friends who are also amateur artists. I will order here in the future. I've ordered 4 of these so far, and have been extremely pleased with everything from the order process to packaging and shipping, to quality of materials received and ease of mounting to my panels. In my 40-plus years of painting, I've alway milled my own "float" frames, and have developed some pretty exacting standards. But PictureFrames.com is now my new go-to source! Thank you!! A great frame of good quality! A perfect fit for my needs. Professional and easy! THIS product IS amazing!! Will definitely order again! Easy to install. Brings a professional look and wonderful finish to my canvas print. This frame is my go to frame. I have found that it goes well on any art piece and my customers love it. 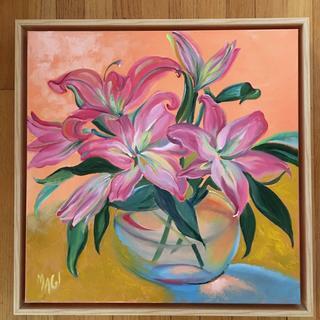 I'm am THRILLED to have found this on line company where I can buy frames for my paintings. These modern frames are perfect for my work. They look beautiful, are well made, shipped quickly and half the price of local frame shops. 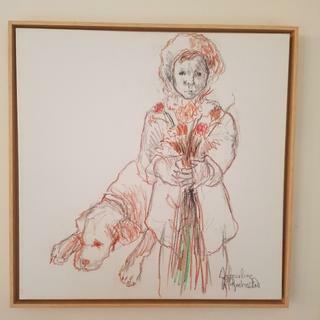 I WOULD prefer to buy local but it's just too expensive for me, Pictureframes.com is my framer now. I highly recommend them. You make my art look even better. Absolutely the best source for framing projects of all kinds. Perfect. Exactly what I needed. Easy to fit the painting. Looked great on the wall. I love this frame. It is simple, classy and basically all about the picture. 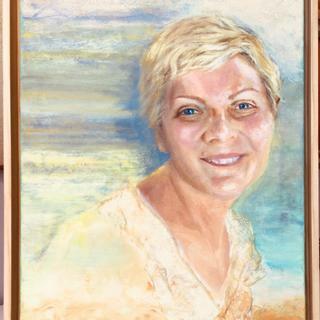 This is a portrait of my friend that I made for her birthday. We were both very pleased. I could not be more pleased with the Maple Floater Frame. 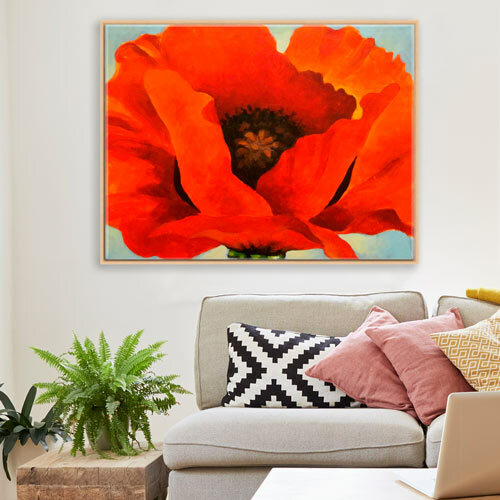 It's well-made, fits my canvas perfectly, and provides a neutral frame that does not distract from my paintings. I've used other floater frames and been happy, but maple will now be my material of choice. Thank you for providing a high-quality product and fast service. 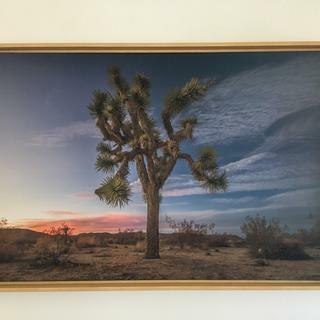 This frame added the perfect finishing touch to tie this canvas photograph into our modern desert bohemian living room decor. We've gotten so many compliments on the photo AND the frame. The perfect frame for this photograph printed on a 40"x26" canvas. 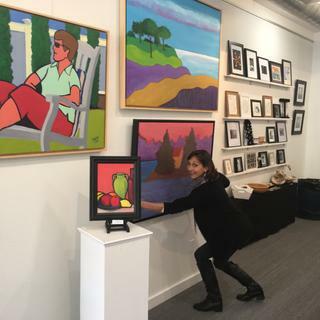 My new frames are sturdy and lend a minimalist effect that enhances the paintings. This frame kit could no be easier to put together and look better. I recently had a professional framer do a much smaller piece and charged me 3 times as much as this kit, which is much larger in size, costed me. I will be purchasing these types of kits moving forward for all my streched canvas projects. I have purchased these framed several times, and they have been consistently well made, well packaged and display my paintings with class. Easy to attach canvas or cradled wood panels. Frames are durable too, withstand art show handling. These look fantastic and are super easy to put the art into. The wood grain is very authentic. But in hanging them, I found a nick on one. It was strange because I don't recall damaging it, but I also didn't see it when I opened the package. Not too difficult to touch up, but a disappointment that the laminated veneer was so fragile. I didn't call because I wasn't sure whether it came that way or happened while was hanging it (which seems unlikely). I was excited to get this but very disappointed when I received the actual frame and immediately noticed that it's not actual maple. The description is sneak and reads, "with a maple finish design." The key phrase is "maple finish design." This is cheap wood with a maple print contact paper applied. Think cheap IKEA or Walmart furniture. Also, the interior dimensions ran a bit bigger than stated. I had to build custom spacers for mounting evenly. On the plus side, the price was decent for a floater frame, the shipping was fantastic, and the hardware was great. Hi Shawn. Thank you for your review. We regret to hear that the look of this frame did not suit your needs. We do, however, appreciate your feedback on the shipping, hardware, and price. Please keep in mind that we do offer samples of our frames for you to see and feel before you purchase. We also have a 45-day return policy so that you can find the perfect frame for your artwork. If there is anymore we can do for you, please let us know. We thank you again for your business and hope you have a frametastic day! The material seems very cheap. It feels like plastic, which I guess is what it is. Thank you for sharing your feedback. We are very sorry to hear that you are not happy with your frame. We can certainly arrange a return on the frame if you find it to be unsuitable for your presentation. We also offer frame samples of our wide variety of framing options. I am certain that we can find something to satisfy your framing needs. If you would like to arrange a return, please feel free to contact us at 1.800.332.8884. We are available between 8a-7p eastern standard time Monday-Friday. Thank you so much for your patience! While description shows frame to be made of maple wood, it is only a wood finish over extruded plastic. My attempted repair of minor corner defect revealed white plastic composition of frame - not real wood! I am so sorry that the frame did not meet your expectation. The frame is in fact wood with an overlay of gesso and an applied maple finish, no plastic. If you would like we can discuss options for returning the frame if you are not satisfied with it. Our number is 1800-332-8884. Extremely pleased with frame. Very easy to install the canvas. Your instructions were great. I would recommend your company, and I already have. Great frame! Fit perfectly. Will def buy more frames from this site. good quality frame. came well packaged and on time. I only use pictureframes.com for my art needs. The frames fit my artwork perfectly and were great quality! Lovely frame, can't use it. Unfortunately not only did I measure a slight bit off, but even had I done it correctly, my canvas is not exactly square. So I am unable to use this custom ordered oversized frame for my beautiful painting which I bought at an art show in Scottsdale. I am looking into having a custom canvas made for the frame. Then I can hire someone to paint it. Thank you for your feedback Kathy. We regret that the frame did not meet your sizing needs. Please give us a call so you can return the frame. We can be reached at 1-800-332-8884. We are happy to email you a return label for the frame. We appreciate your business. Wonderful frame, easy instructions and great quality as with everything I have ordered from PictureFrames. 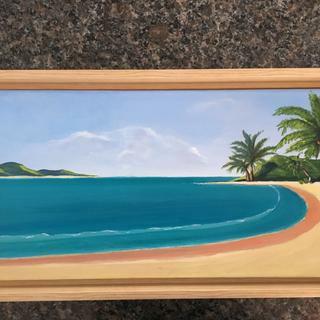 This frame is my favorite and it is perfect for my Caribbean beach painting. Love PictureFrames !!! 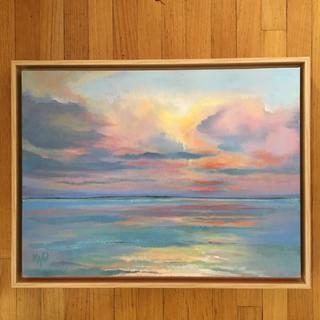 I have chosen this frame many times for my acrylic and oil on canvas paintings, and I am very pleased with the quality and the ease with which I can frame my pieces. This maple is a very nice neutral that works well with my images. I recently saw a painting in a museum using this color. It will enhance my painting. The simplicity of maple goes well with contemporary artwork. My art is painted on Gallery wrapped canvas and I mostly maintain white borders in my designs - the maple offers a perfect contrast. It works well with my baseball themed paintings. Kind of reflects a wooden bat. This color and material will compliment a painting that has "beachy", dreamy colors. It's light and will go well with the airy feel of the image. I wanted a professional clean look that would enhance the art work. These will be in an art show so it is very important to me that they look exceptionally good. 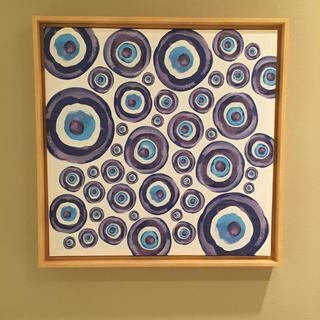 Looking for a neutral frame that will boundry bold colors. I like the simple design and the fact that it's a floater frame. I like that my artwork will be the main thing on display, but will be framed in subtlety by a nice light oak color. I have purchased this frame from you in the past and it's perfect for the vintage painting it will be adorning. 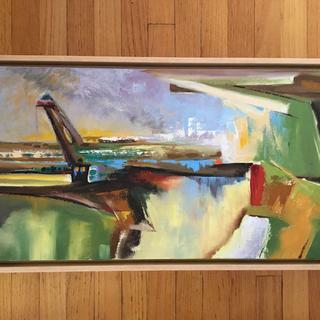 It's a great-looking contemporary frame for paintings using heavy-duty stretchers. This frame seems to be a good quality at a good price. The most important thing for me is that the frame will be the right size. 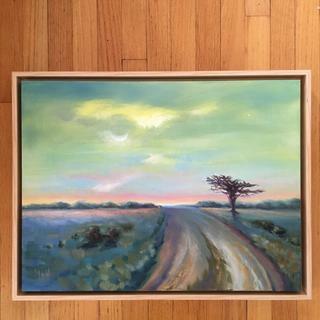 Chose it because the framing of my stretched canvas is warped, and I don't want to exhibit a warped piece. 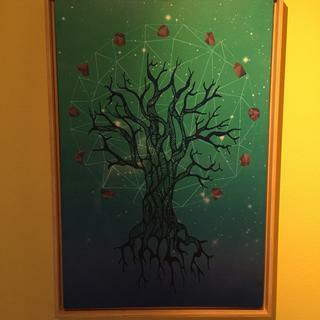 So I had to get a frame, adding cost to my piece. Moral of the story: Buy better quality stretched canvases! The soft look and feel of these natural maple frames enhance my semi-abstract, open feeling landscapes. 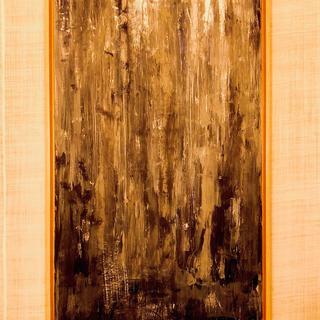 Handsome frame with modern "light" style that set's off my abstract paintings wonderfully! 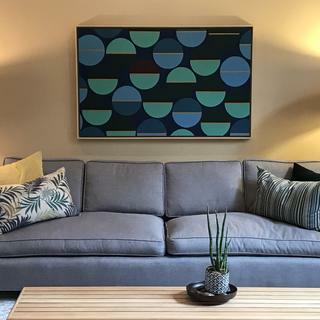 Love the contemporary clean lines that compliment my paintings. 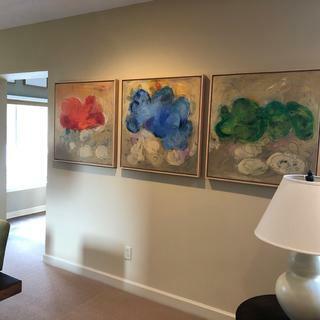 Floaters in natural wood look professional in a gallery setting. I ordered this frame a couple of months ago and was very impressed with its finish and overall structure. It enhanced my painting and it sold quickly. I'm hoping for more success!! Thank you. perfect for my customer's decor and really showcases the painting! These frames are for my oil paintings on canvas. Needed an extra-deep canvas floater. Hopefully this will fit the bill. CLEAN HANDSOME DESIGN FOR EXHIBITING A GROUP OF PICTURES. It's the closest to match with Oak furniture in my living room. This frame will hopefully elevate the room. This frame is for a vertical, warm figure painting. It's on a cradled wood panel about 1 inch deep. It could be hung unframed, but I prefer the finished look the frame will provide. Great looking frame for an affordable price. BEST ANSWER: There really is no gap. 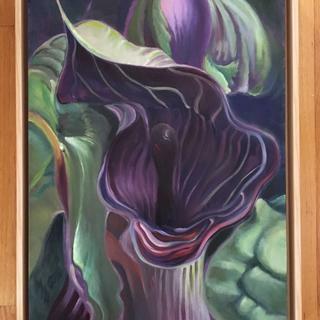 If you order a 16 x24" floater frame, you canvas will fit perfectly inside the inner lip of the frame with about a 1/4" space between the canvas the the wooden frame. You can then screw the canvas in place from the back side and add wire for hanging. One point to keep in mind, some of the "wooden" frames actually have a pasted wood grain on top of a cheaper wooden base. The gap between your canvas and the frame is approximately, 3/4 of an inch. Please keep in mind the canvas has to "sit" on the inner lip of the frame in order for the canvas to be attached to the frame. Also, this frame is a printed veneer not real birch. Looks good wish it was real wood. You would pay more if it was. You may wish to look at the other color options. I would not go less than 1/8”, just in case the folder corners of the canvas give you fitting problems. But, the generally accepted distance is a 1/4” reveal/space on all sides, to give a nice effect of floating inside the frame. I ordered mine a quarter inch larger than the canvas & it’s too big a space. I believe the frames are designed such that you order the frame according to the size of your canvas & the frame opening is slightly larger. Sorry for the late reply. The gap between the canvas and the Inside edge of the frame is exactly 3/8 of an inch. I’ve used the floater frames a lot and really like them. Hi Christina. The float space between the frame and canvas is 1/4". Thank you! Then I would order the canvas box frames as they sit closer to the canvas. I have 3/4 inch wrapped prints I want to frame. What depth should I get? BEST ANSWER: Hi Richard. This frame has a 1 1/2" depth. We do have the same frame in a 3/4" depth. This would be the CFS10. Thank you! BEST ANSWER: Hi Giovani, this frame has a floater step that cannot be altered. If you were to go a 1/2" smaller in size, the float width would still be the same and the 20x30 would not fit into the frame. Thank you! I'm interested in painting the frame. Will that be a problem/difficult? BEST ANSWER: Hello! The frame has a maple over-lay which is adhered to the wood. We do not suggest painting this moulding, but perhaps consider one of our unfinished wood frames. However, the unfinished wood frames, do not come in a floater style. Take a look at the frame below and let us know if this will work for your framing project. Thanks! How do I know if 1&5/8 depth canvas will fit your floating frame? BEST ANSWER: Hello! This Maple Floater Frame has a depth of 1 5/8' which will work with a canvas that has a depth of 1 5/8". Thank you for your inquiry! I also have been disappointed that the maple frame is just a finish, not plain wood. Will you ever sell actual natural wood frames in a floater style? That is what I'm trying to find. BEST ANSWER: Hello Pamela! We always welcome your valuable feedback. Have you seen our Gallery Maple Collection? These frames are 100% Maple however the depth is only 1/2". We understand your canvas is deep therefore, I will be sure to forward your comments to our Marketing Department. Thank you again for your business! A couple of reviews say the wood finish is not real wood. Can you please confirm? BEST ANSWER: Hello Amy! Thank you for reaching out to us for more clarity. Please allow me to elaborate. The CFL10 Maple Frame is a %100 wood frame with a laminate overlay. The overlay gives the appearance of the wood graining on the frame. If you would like to order %100 Maple Wood please take a look at our Gallery Maple Collection. I have included an image of a Gallery Maple Frame below. Please let us know if you have any questions. We can be reached at 1-800-332-8884. Have an awesome day! Can this frame serve as a shadow box frame? BEST ANSWER: Hello Ronni! Thank you for reaching out to us for your framing needs. The CFL10 Frame is designed to hold canvas and is not ideal to be used as a Shadowbox Frame. Please see the GLD13 frame below which can be used as a Shadowbox. Please search for 'Shadowbox Frames' in the search box to navigate to the frames we suggest be used as a Shadowbox. Please let us know if you have any additional questions. We can be reached at 1-800-332-8884. Have a great day! will my 3/4" canvas fit in this? 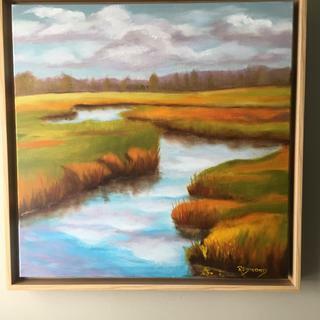 BEST ANSWER: Yes the canvas will fit, however, it will recess inside the frame by 3/4". We have the same frame style and color with less depth. The 11/16" depth of the CFS10 would work better.